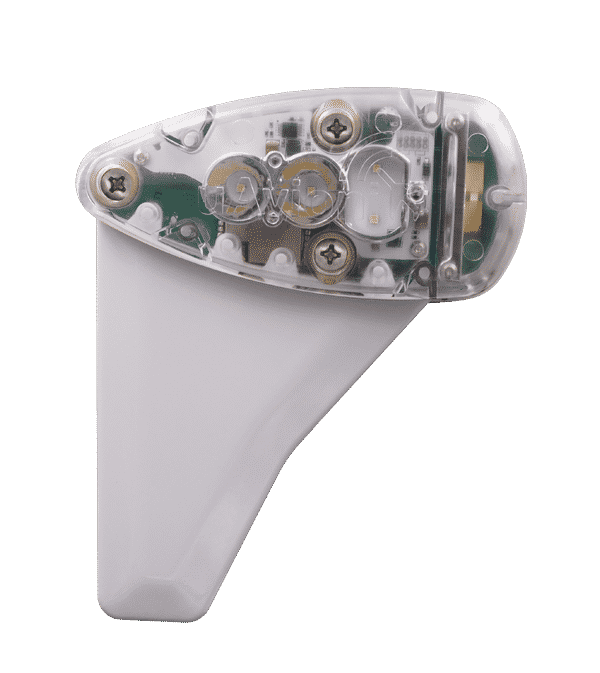 Intended as a companion product to skyBeacon, skySensor includes a dual-band ADS-B receiver, static pressure sensor, and GPS. 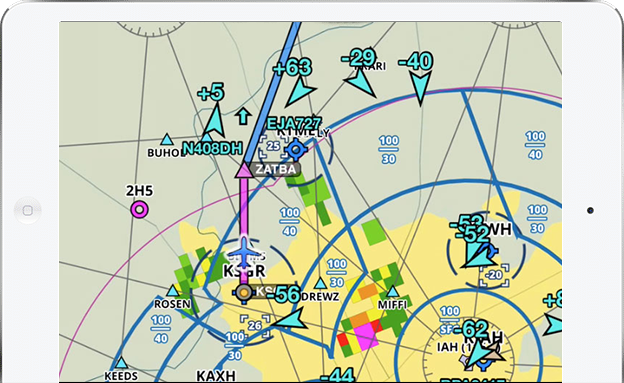 Traffic, weather and position are transmitted via WiFi to GDL90 compatible EFB applications. 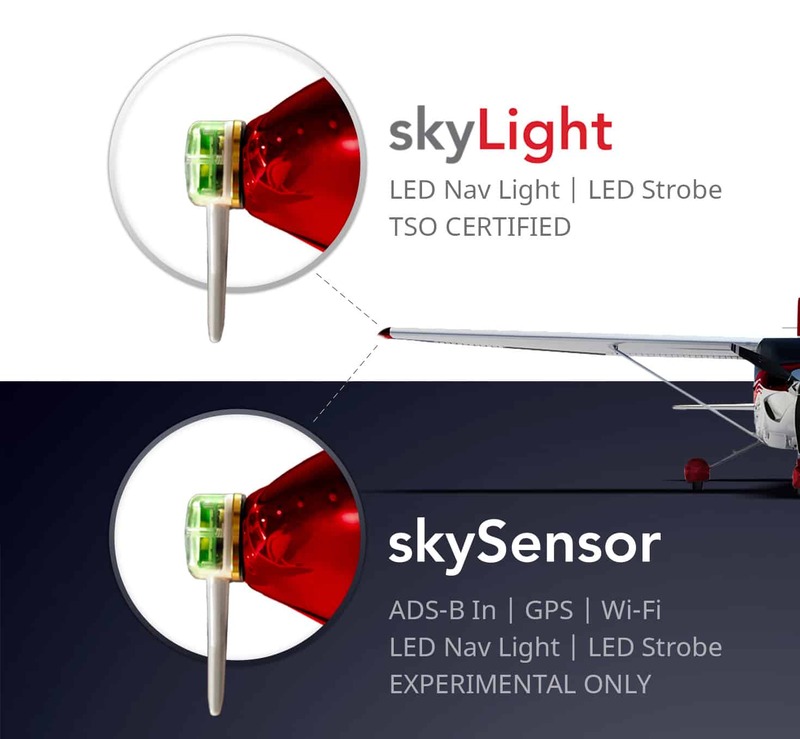 skySensor receives dual-band ADS-B traffic information. 1090ES and 978(UAT) traffic broadcasts are displayed on supported EFB moving maps relative to your aircraft position and altitude. skySensor receives subscription-free in-flight weather (FIS-B) directly from FAA ground stations. FIS-B includes the following weather information: NEXRAD radar, METARs, TAFs, AIRMETs, SIGMETs, Winds and temps aloft, PIREPs, NOTAMs, and TFRs. skySensor features a highly-accurate SBAS GPS. Four GNSS systems (WAAS GPS, Galileo, GLONASS, and BeiDu) are supported and skySensor can track three constellations concurrently for redundant location tracking. 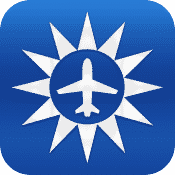 The GPS information is available to your EFB via Wi-Fi. 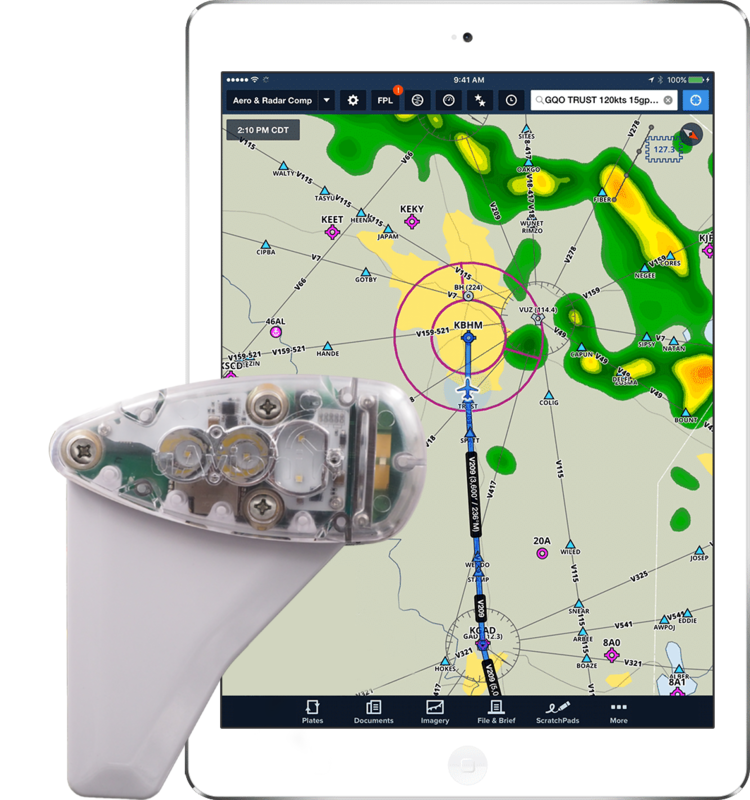 Connect wirelessly with integrated Wi-Fi to transmit In-flight weather, NEXRAD radar, METARs, TAFs, TFRs, AIRMETs, SIGMETs and NOTAMS to EFB applications. 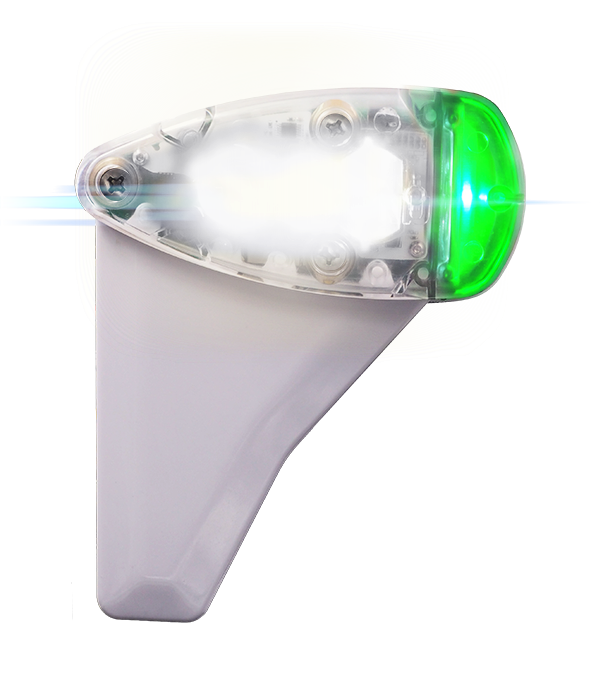 Extremely efficient LED position light in aviation green. skySensor’s power consumption is around one-eighth of a traditional incandescent bulb including GPS, ADS-B In and Wi-Fi. An integrated low profile LED strobe completes the skySensor package. 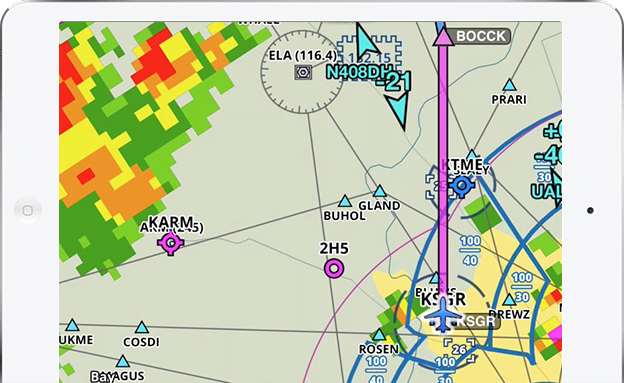 skySensor has built-in Wi-Fi allowing you to stream ADS-B traffic and weather to the application of your choice.